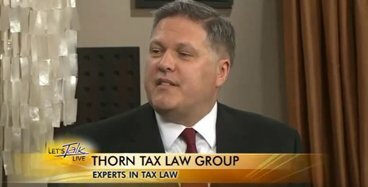 Thorn Law Group provides professional tax counsel and strategic legal representation to businesses and individuals facing challenging national and international tax law disputes. Our tax attorneys navigate clients through complicated tax laws and procedures providing experienced advice at every stage of the process. Our solutions-oriented tax law team focuses on resolving clients’ tax issues as effectively and efficiently as possible. Our lawyers understand the serious and sensitive nature of criminal and civil tax law matters and we partner with our clients to strive for an optimal outcome in every tax matter that we handle. At Thorn Law Group, our experience makes the difference. With over 30 years of combined tax law practice, our legal team has the skills and knowledge necessary to successfully resolve routine and complex tax law issues and controversies. Many of the lawyers at our firm have worked as former IRS tax attorneys and served as law clerks with the U.S. Tax Court. This background and experience gives our tax attorneys a unique understanding of how the Internal Revenue Service, the courts, and federal and state authorities operate and prosecute serious tax law violations. 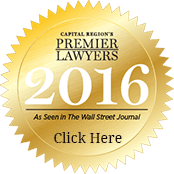 Thorn Law Group is well-recognized throughout Virginia and around the country as a premier national and international tax law firm. 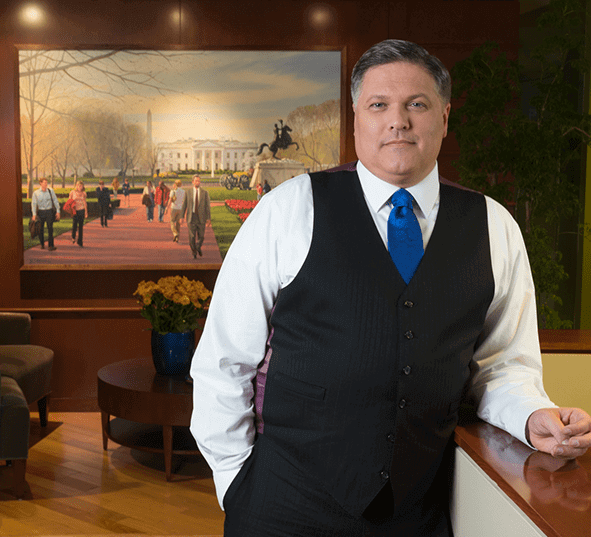 Kevin E. Thorn, the founding member and managing partner of the firm, has been featured in the Wall Street Journal special “Capital Region’s Premier Lawyers” supplement as a leading attorney in the DC metro area handling international, civil and criminal tax law cases. 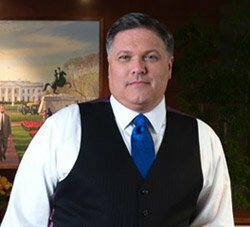 Attorney Thorn’s experience and knowledge is highly regarded in state and national legal communities and he has presented on domestic and international tax law developments before the Federal Bar Association, state bar associations and at numerous conferences throughout the United States and abroad. 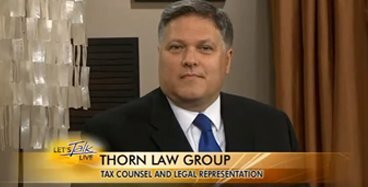 Thorn Law Group has extensive experience representing clients seeking to participate in the IRS offshore voluntary disclosure program (OVDP). Our tax attorneys have an in-depth understanding of how the OVDP programs work and we have helped hundreds of clients in Virginia, the U.S. and around the globe to bring their unreported offshore bank accounts into full compliance with the law. 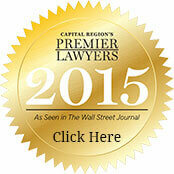 In June 2014, the IRS made important changes to its 2012 OVDP. These changes were designed to increase the number of taxpayers voluntarily coming forward to report previously undisclosed offshore bank accounts. The 2014 modifications expand the eligibility criteria for participation in the streamlined filing compliance process and include several other changes in the terms and conditions of the program. Under the revised OVDP, certain taxpayers living in the U.S. may now have the opportunity to take advantage of the streamlined compliance procedures and additional U.S. taxpayers living abroad will be eligible to participate in the program. The 2014 IRS changes to the OVDP also impact certain taxpayers who have acted willfully to shield their offshore accounts from the U.S. government. Under the IRS 2014 revised program, willful violators are now required to submit additional information to the IRS and pay their offshore tax penalties when they apply to participate in the program. Additionally, in certain circumstances, a willful violator may also be subject to increased penalties under the 2014 OVDP. 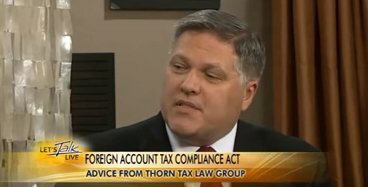 Individuals and businesses residing in the Virginia area that have questions about offshore voluntary disclosures and the 2014 OVDP should consult with an experienced IRS voluntary disclosure attorney at Thorn Law Group. 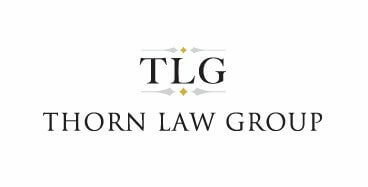 If you have questions about the legal services offered by Thorn Law Group or would like to discuss a civil or criminal tax law matter with an experienced Virginia tax attorney, we encourage you to schedule a legal consultation. You can also reach us by calling our Virginia office at 703-752-3752. 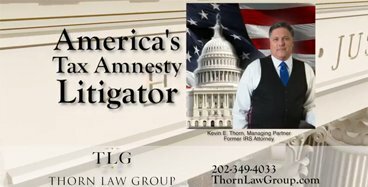 "I would like to thank Thorn Law Group for all their help with the 2014 IRS Amnesty Program. Normally I wouldn’t say this about lawyers but your firm was refreshing and a pleasure to deal with. The level of knowledge on the ins and outs of the IRS are to be commended. I also appreciated the fact that your firm was always available to answer any questions or concerns of mine. You showed a great deal of commitment on getting a favorable outcome for me. Thank you again!"